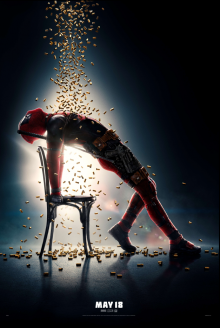 Join LatinoScoop at an exclusive advance screening of DEADPOOL 2 in select locations below. Click on the link below for your city and enter the code. If you download a screening pass and aren’t able to use it, please share it with someone who can attend. There are limited number of passes available for each location. Screening passes are available on a first-come, first-serve basis. Additional passes will not be added once they are all redeemed. Anyone downloading a screening pass is advised to arrive early to secure seating. The theater is intentionally overbooked by the studio to ensure a full house. Plan accordingly to arrive with enough time. IMPORTANT: Look for the line outside on 68th Street upon arrival for NYC attendees. This film is Rated R. No one under the age of 17 will be admitted to this screening. No large bags/backpacks will be admitted. IDs will be checked at the door and tickets are non-transferable. Absolutely no exceptions! Please arrive with full party, as you will not be admitted if your guest has not yet arrived.